Android has given the power of mobile computing to millions and Google keeps updating its mobile OS with new features, enabling a better user experience, but its security seems to be lagging as new vulnerabilities are discovered and exploited every now and then. In April, we had reported that a large number of gaming guide apps were reported to infect north of 2 million Android devices with a similar ad-displaying malware or adware. The very next month, Judy malware hit over 36.5 million Android devices. The researchers found out that most of these apps have been on the Play Store for a long time but they were all recently updated and it’s unclear as to when the malicious code was inserted into these apps — making it unclear actually how many devices have been affected till date. 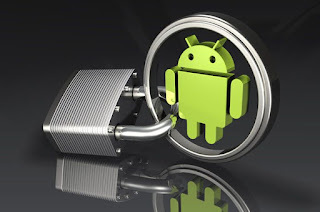 Although Google has been working tirelessly to counter all the malware strains affecting Android devices and has not only upgraded the security of it Play Store, it has integrated new measures to identify and fight malware once it has gained entry into the device. Earlier this month, Google started using Peer Group Analysis to identify and weed out any app that seems to be behaving in a manner that is significantly different to other apps from the same category and similar functionality. Researchers at Check Point security have identified and listed out the three most widespread and common malware threats to the Android ecosystem. Hummingbad: This malware strain primarily integrates a malicious rootkit on the infected device, allowing it to install fraudulent apps onto it. Other than that, the malware can also be used to install keyloggers, steal credentials and bypass email encryption. Hiddad: This malware strain injects malicious code into authentic Play Store apps and then repackages and releases them to third-party app stores. These apps primarily display ads, sending back the revenue to the malware author. Other than that, they can also be used to gain access to sensitive user data by exploiting the operating system’s security detail. Lotoor: This malware strain is used to exploit any known security vulnerability in the Android operating system in order to gain root access on a compromised device — allowing the attacker to gain as much control over the device as its owner. Smartphones have become an intrinsic part of our lives, housing everything from our personal to financial data and media files. Fighting the growing menace of malware and ransomware attacks is going to be an endless ordeal as alongwith the technological advancement, the methods of attackers are advancing at a rapid rate too.